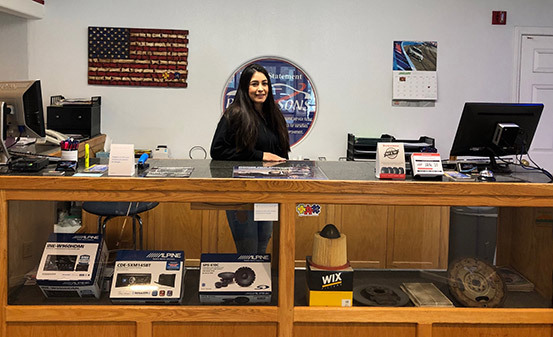 An automotive industry leader in the Ridgecrest community for 44 years, Paul & Sons Automotive, Inc. located at 140 W. Ridgecrest Blvd, Ridgecrest, CA is a large, full-service facility. We offer comprehensive automotive diagnostics and repair, towing, off-road recovery, and mobile audio/multimedia sales and service. Our ASE Certified Master Technicians are constantly training to keep up to date with modern automotive technology and innovations. Paul & Sons is proud to sponsor many local youth sports, education projects and community service organizations. Give us a call 760.371.9116 or schedule online! Maintenance will help increases the reliability of your vehicle by preventing unexpected failures. By sticking to your own customized maintenance schedule, you can avoid these costly repairs and reduce the over all cost of your car. 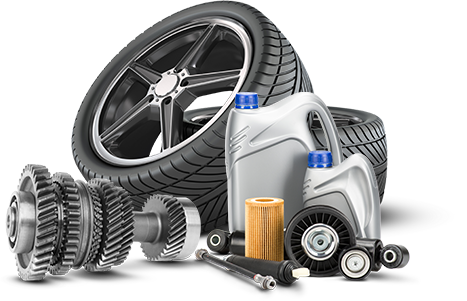 Vehicles need to be serviced when they reach certain mileage. We offer all services for your vehicle when they reach these milestones. Click the links below to find out what services need to be performed at what mileage. We will handle your glass removal or replacement as needed to perform proper repairs to your vehicle. "Ten years ago, November 27th, 2007 we had total brake failure on our Teton 5th wheel while descending from Lake Isabella. 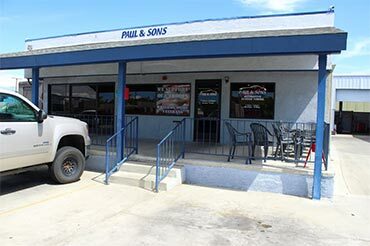 We found Paul & Sons in Ridgecrest and had an amazing, wonderful experience there getting our rig repaired. They did a detailed examination, taking pictures and contacted Teton Homes in Casper, Wy to find the exact proper way to make this repair. This repair took more than one day as parts had to be shipped to Paul & Sons. They let us plug into their electricity and stay in our unit. They shortly performed and extensive repair to our brakes and suspension (that caused the problem) and we have had smooth sailing ever since then. 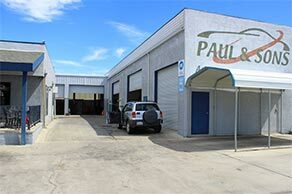 Thanks Paul & Sons for reliable, professional repairs that permanently fixed our problem. You were our oasis in the desert that day! Cliff & Teresa Witte"
5 star review from Nina G.
"Paul & Sons are the best!! I found a smart caring tow truck driver in the middle of the night & the middle of nowhere. He worked above & beyond the call to get us safely off the road - giving us a loaner car so we could get to a hotel! The next day - when they are technically closed - he worked out everything with Subaru to get my tow paid for - no $ out of my pocket!!!"